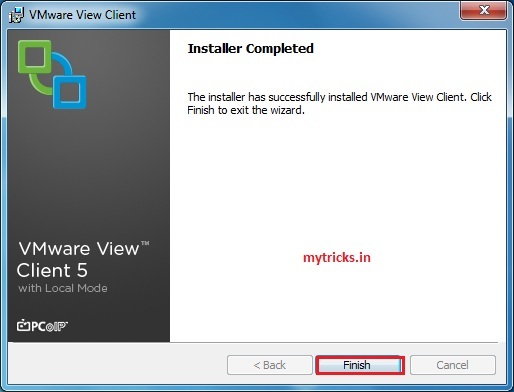 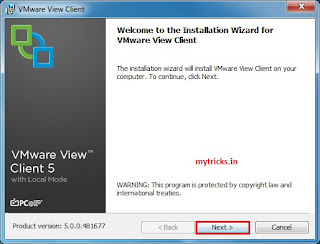 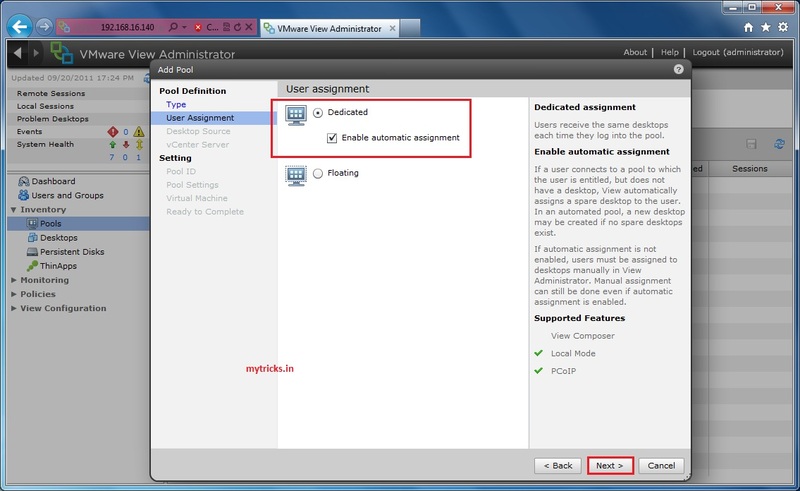 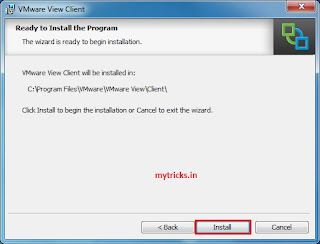 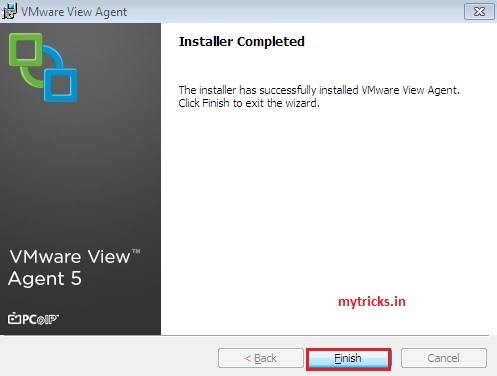 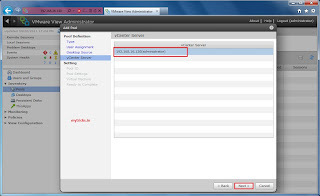 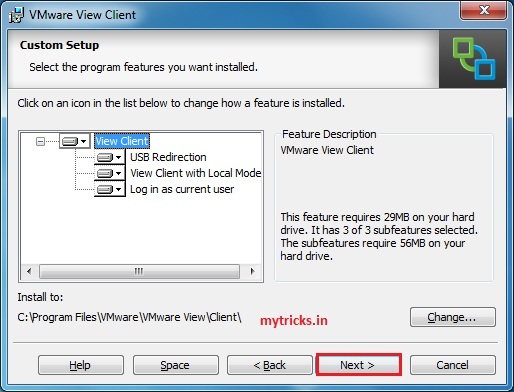 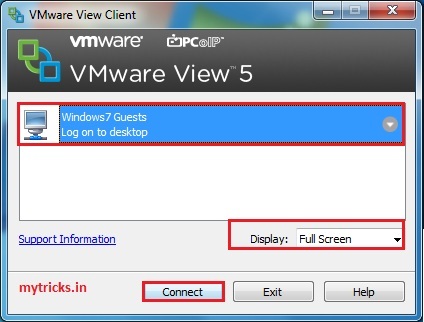 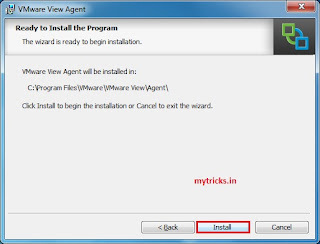 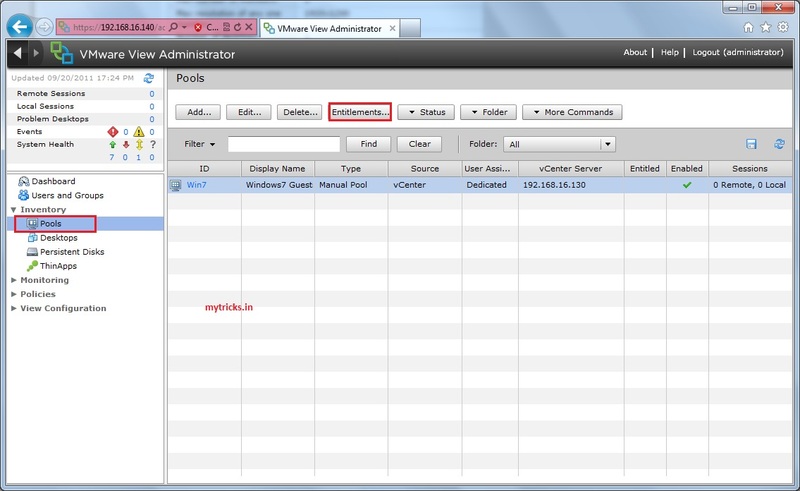 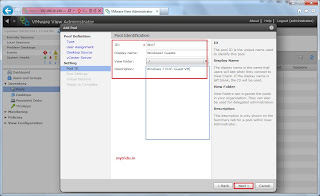 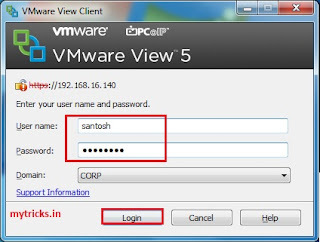 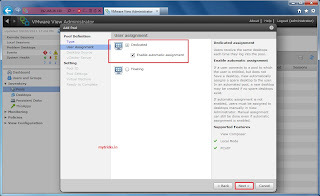 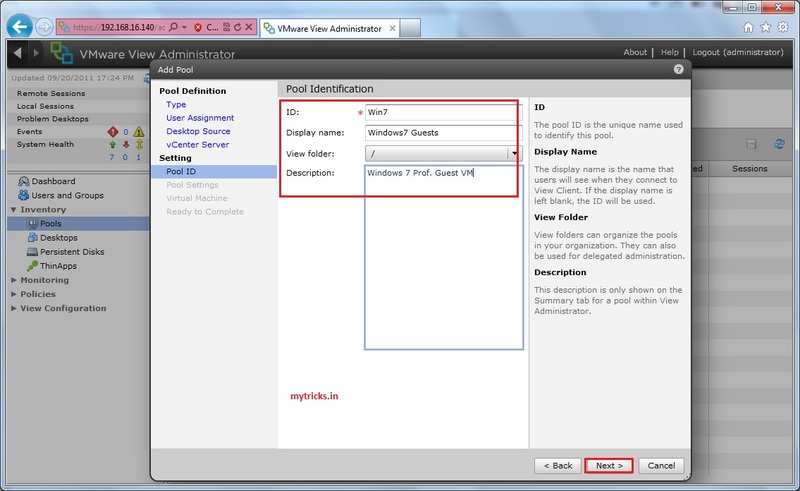 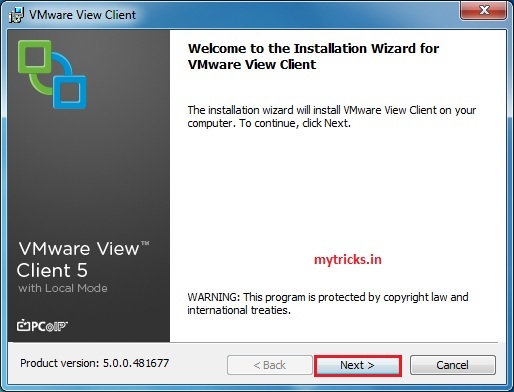 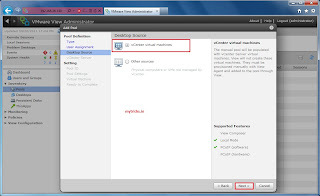 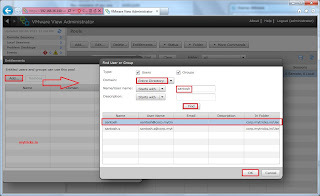 In last article we learn How to Install VMware View 5. 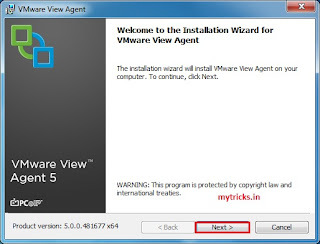 Now we are going to configure VMware view 5. 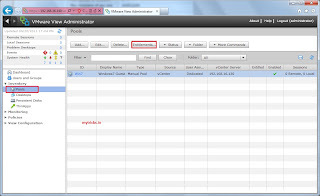 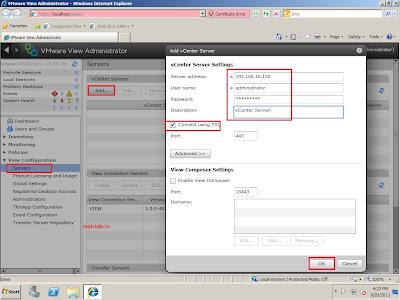 So lets get started, When we install the VMware View Connection server 5 a local View LDAPconfiguration is created & we can manage it via Vmware view Administrator Console. 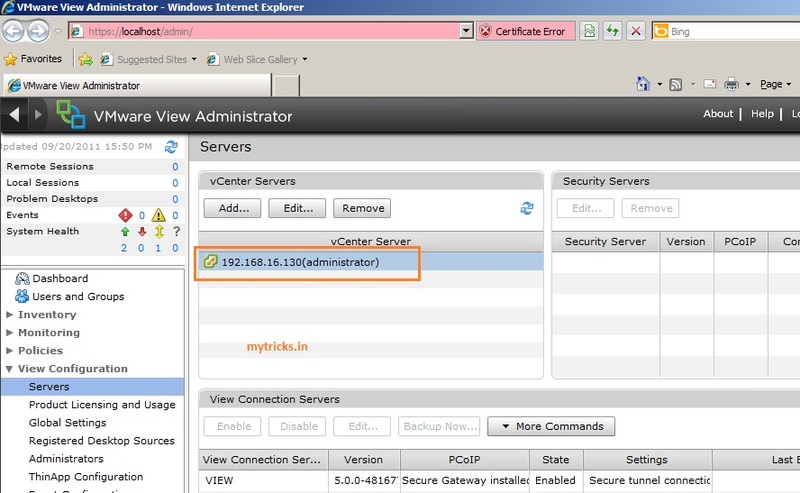 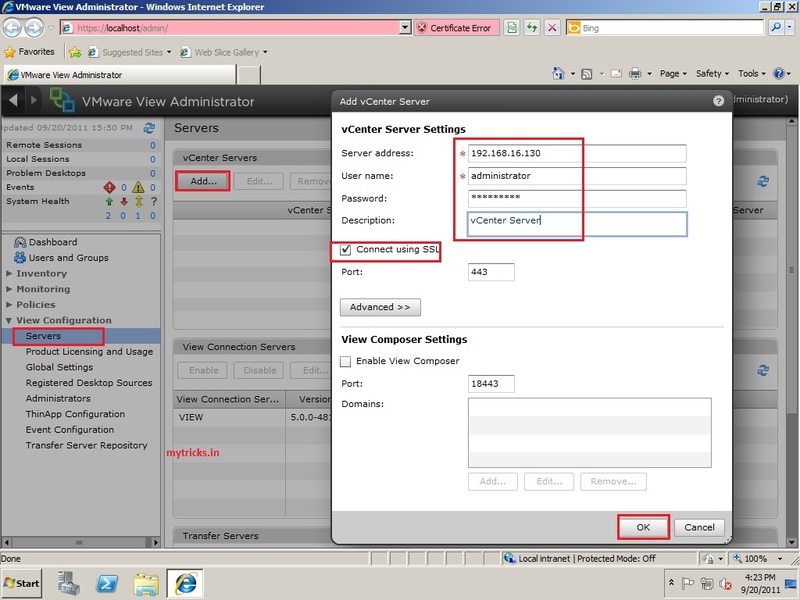 establish connectivity in between VMware View 5 & vCenter Server 5. 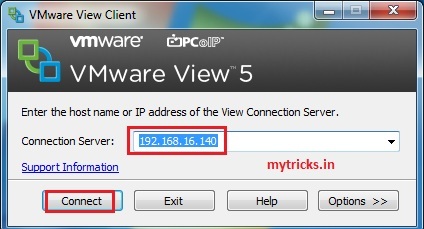 To do this click on “View Configuration”-> Servers->Add. 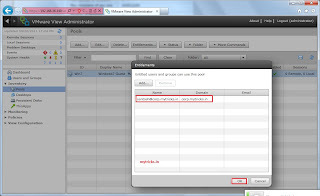 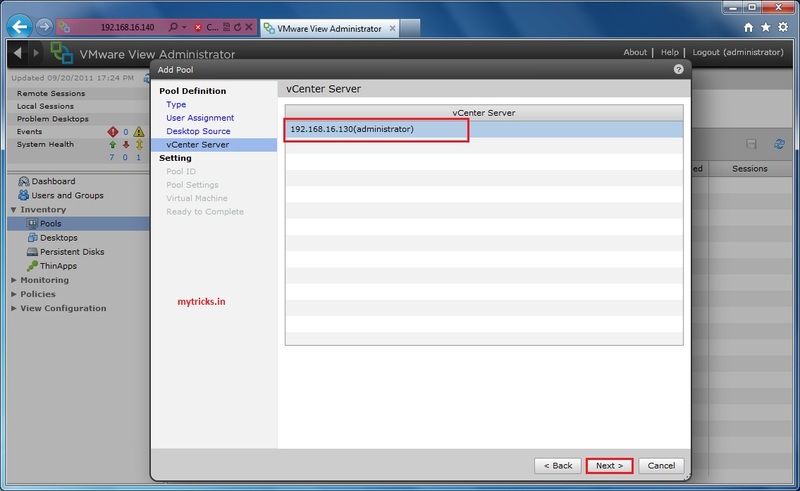 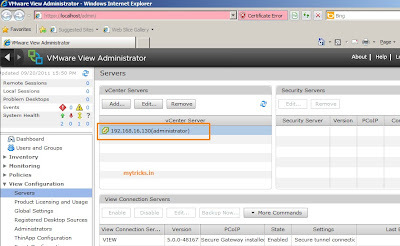 Enter vCenter Server address & Login credentials as shown below & click on Add. In my case I haven’t configured View Composer so for now I will leave that blank. 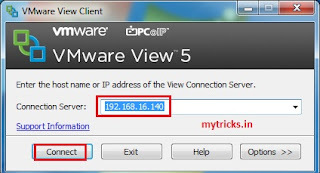 In my case I have one Windows 7 Virtual Machine that I want to add to my connection server. 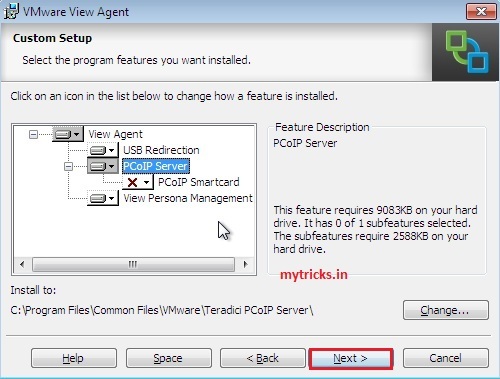 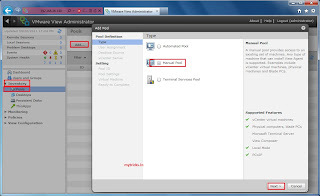 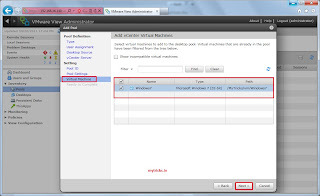 For virtual machine to communicate with Connection Server we need to install the VMware View Agent on Windows 7 Virtual Machine..
Click Finnish to complete installation. 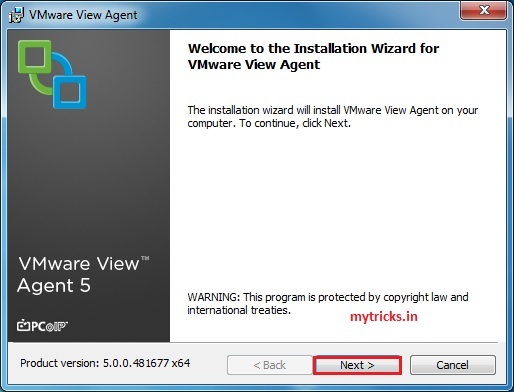 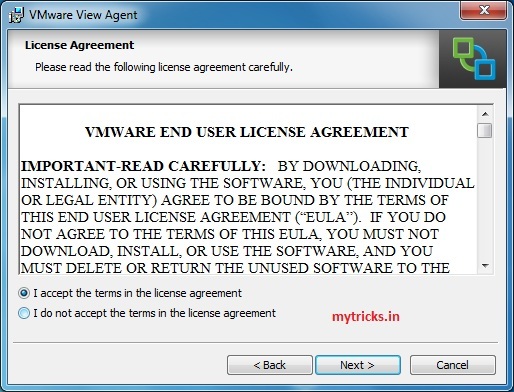 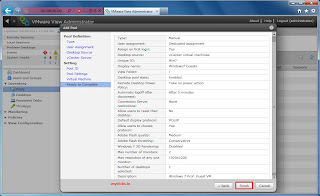 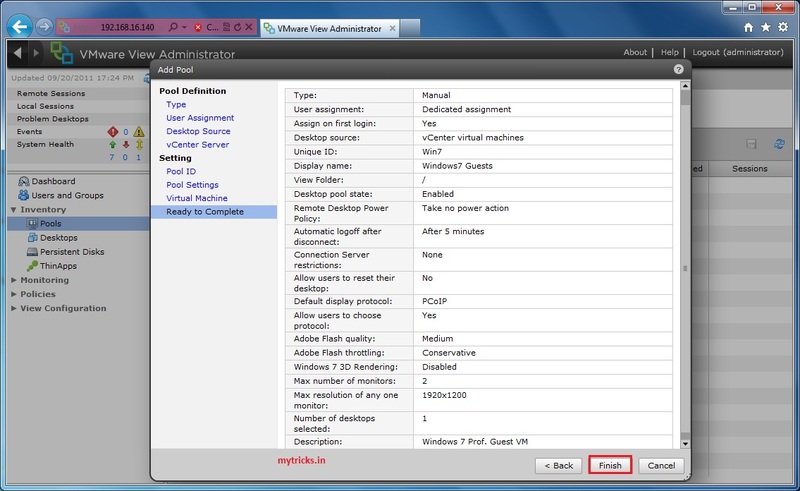 Under Windows 7 VM service you will see the VMware view Agent service running. 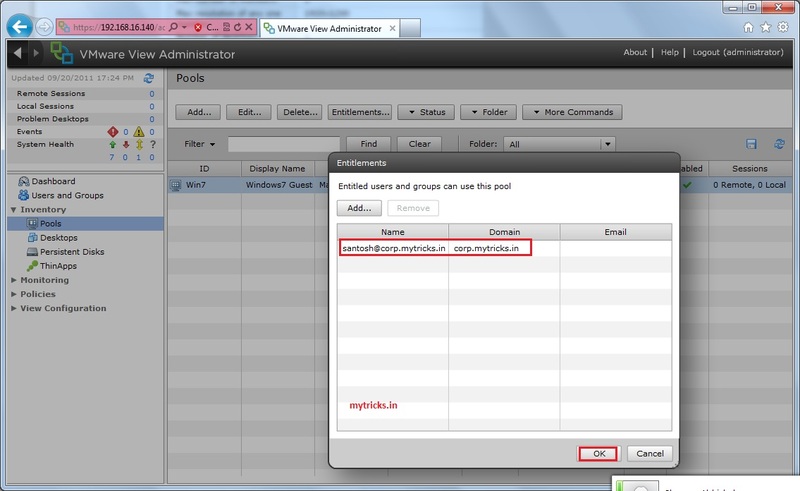 To add a Pool go to Inventory-> Pools-> Click the Add Button. 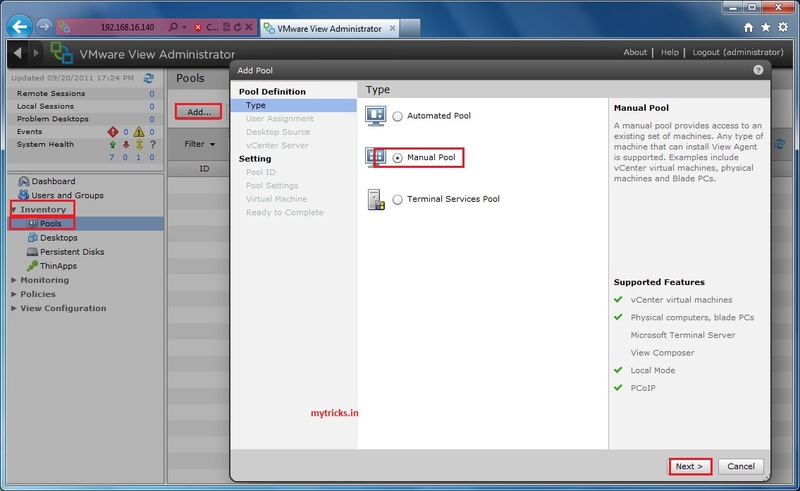 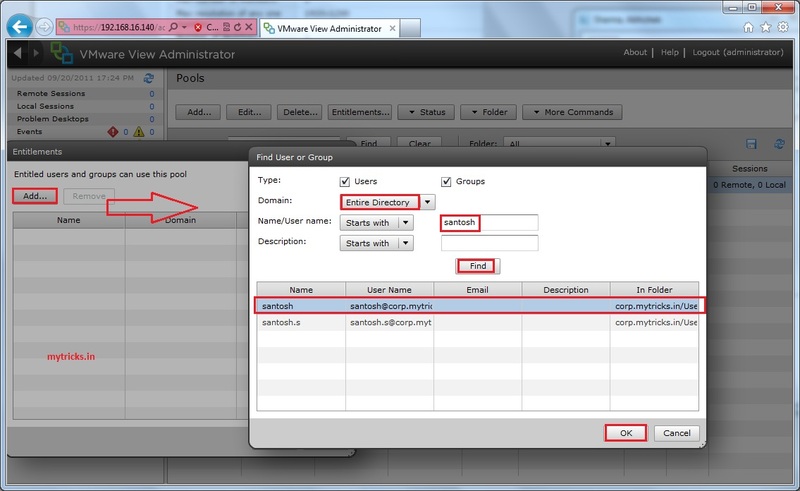 For test environment I am going with Manual Pool as I have only one VM & click Next. In my case I am going to assign dedicated desktop to my user. 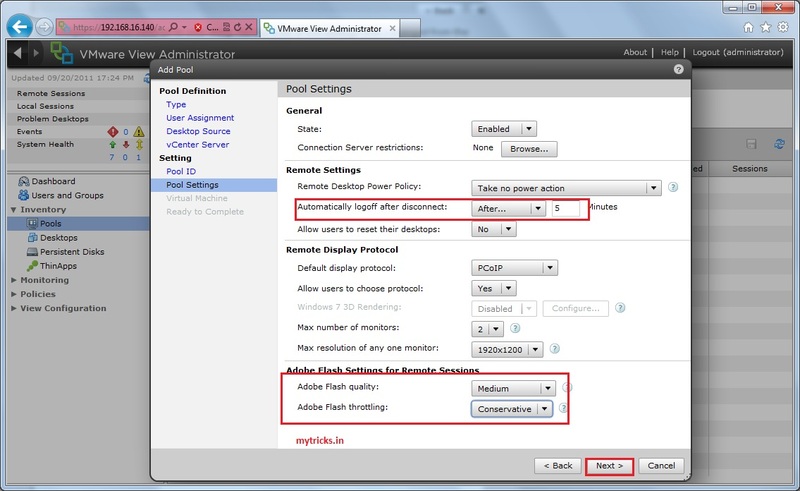 We can go with Floating option if you want Users to pick random desktopn from the desktop pool. 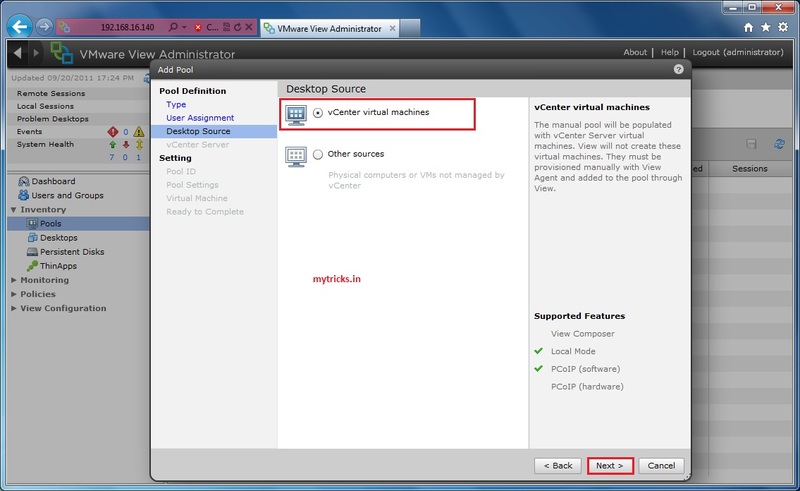 Select “vCenter Virtual machine” option as all my VM’s coming from vCenter Server, If you have Physical computers or VMs not managed by vCenter you can go for “other sources” option. 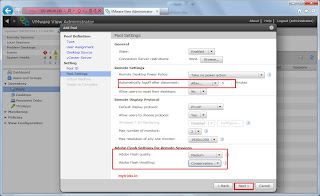 Review the settings & click on finish. 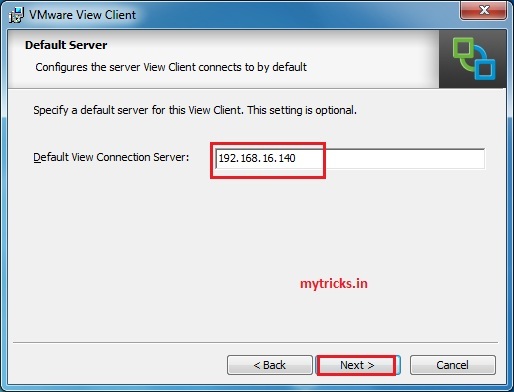 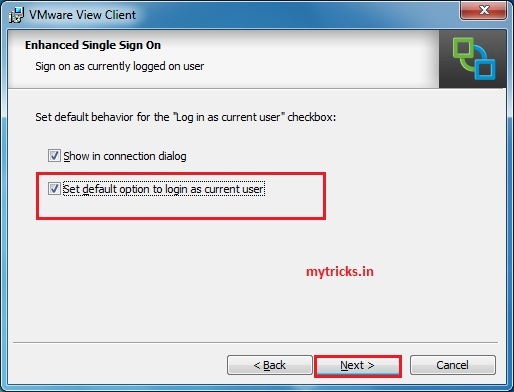 Now open VMware View Client& enter your Connection Server IP & Click on Connect. 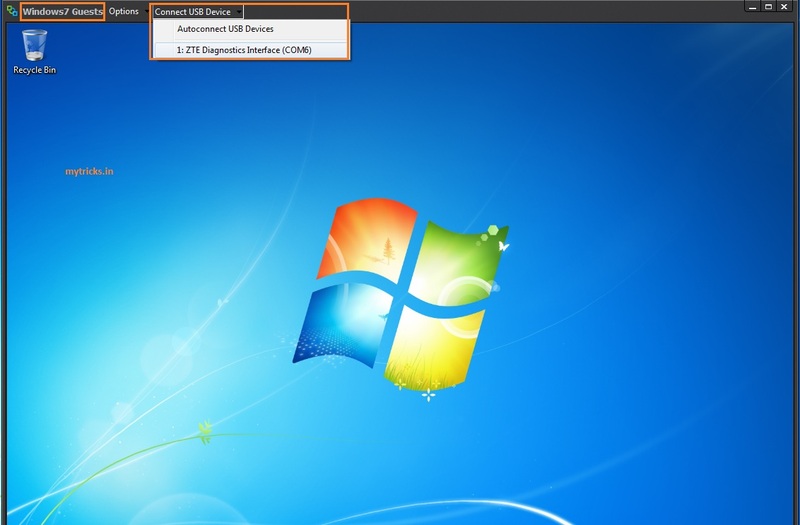 Here Come, your Windows 7 VM, Also If want you can connect USB drives to your VMware View VM..